Be prepared for the next weather event by taking steps to plan and prepare for power outages, flooding, and associated health risks. 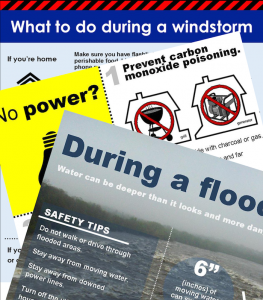 Download the following Washington State Department of Health fact sheets for specific things to do before and during a weather emergency. For more fact sheets, visit the Washington State Department of Health Emergency Preparedness Response.